Visitors to Faro are well catered for with the city’s many shopping facilities. 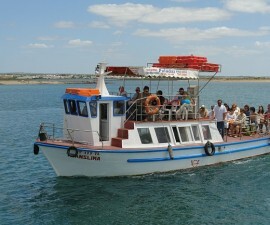 Whether you are looking for food and drink to help make your self-catering holiday go with a swing, clothing from designer boutiques and high street names or traditional arts and crafts as mementos of your trip to Portugal, you will have little difficult finding what you need in Faro. 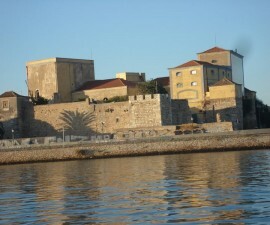 The city centre offers some excellent shopping in and amongst the weaving streets and period façades of the Old Town and around the external walls of the Mouraria. Head for Rua de Santo Antonio, Rua de Francisco Gomes, Rua de Portugal, Rua dos Letes and the Galerias Faro for some quirky independent boutiques. This area all around the Rua de Francisco Gomes is a great place to start your Faro shopping experience and there are plenty of cafés and bars with pavement tables at which to stop, recharge your batteries and do a little people watching before getting back to the job in hand. If you enjoy market shopping, head to the city centre market for some local bargains. It is open daily and specialises in selling costumes, shoes and other clothing as well as household goods and any number of other random items besides! There is a special exchange programme at the city centre market on the first Sunday of the month, known as TrocAqui, at which traders and individuals are invited to swap and trade their goods between 10am and 1pm. For fresh produce at knockdown prices try the Mercado Municipal on Largo Dr Francisco Sa Carneiro for a delightful assault on the senses. Here you will find stall after stall loaded with fresh produce including cold meats, cheese, baked goods and fresh fruit and vegetables of every shape and colour. 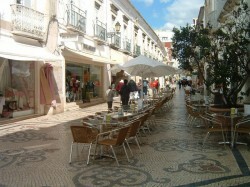 There are plenty of large and small supermarkets in Faro to take care of your food shopping. Mini-markets are perfect for picking up staples while the larger supermarkets such as Lidl on Bom João and Vale Carneiros, Aldi on Urbanização Vale da Amoreira, Jumbo at Forum Algarve, Pingo Doce at Cândido Guerreiro and Estádio S. Luís and Pão de Açúcar at the Mercado Municipal de Faro are well stocked with all the essentials – and treats – you need for stocking the cupboards of your rental villa or apartment. Vegetarians and vegans are now well catered for at most larger supermarkets, with Pingo Doce carrying widest selection. 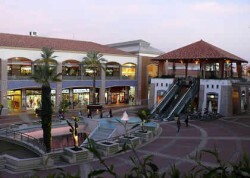 Forum Algarve Shopping Mall is located on the road into Faro from the airport. It is organised into an open central square populated with cafés and outdoor eateries, with the shops flanking each of the four sides, protected from the elements by covered galleries. Whatever you are looking for, there is a good chance you will find it here, from jewellery and accessories to home furnishings and sports equipment, taking in perfumes, pet supplies and designer names along the way. The ground floor of the Forum Algarve Shopping Mall is given up to the Jumbo supermarket, making this the perfect one-stop shop for all your shopping needs. 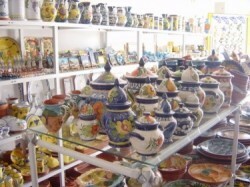 If you enjoy market shopping, there are several gipsy markets that take place along the length of the Algarve throughout the month. Head to Estoi on the second Sunday of the month for a whole range of handmade goods including basketware, hats and mats, home-woven by the local women from palm leaves. Nearby Almancil has a lively market on Sundays, featuring a general market on the first and fourth Sunday and a flea market on the second and fifth. 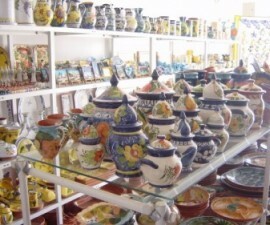 Other notable market locations include Fuzeta, Quelfes, Loulé and Moncarapacho. Check for up to date times and dates as these may vary from season to season. It is worth planning your sightseeing trips in and around Faro to tie in with market days to help you make the most of your trip. If you are undecided as to what mementos you may want to bring back from your trip to Portugal, it is worth considering items in which the country has the strongest traditions. Basketware is hugely popular here, as is embroidery and these make great gifts or items with which to decorate your own home on your return. The Portuguese wine tradition is also strong and a bottle or two of Port wine or the local nectar are well worth hunting out. Try a bottle of pale port as an alternative to the usual tawny or ruby varieties for something a little different. All gold is 19.2 carat in Portugal by law and is reasonably priced so this is a great place to buy something a little special to treat yourself or a loved one to guarantee enduring good memories of your trip to Faro.